The total hiking distance is close to 53 km and the route from Thorsmork to Skogar on the south coast adds 24-26 km. Our Laugavegur trekking tour with TREX is an all inclusive 5 days / 4 nights guided trek, through one of Europe’s most exciting and fascinating landscapes. 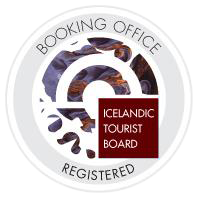 Full board, overnight stay in the mountain huts, an experienced Icelandic trekking guide, along with transportation of luggage – which means you only have to carry what you need for each day. The hike starts at Landmannalaugar, an area of colorful mountains tinted by rhyolite minerals, and it ends in Thorsmork, a fascinating destination with a series of deep valleys, crisscrossed by numerous fast flowing rivers and glaciers on three sides. Please note: the minimum number of participants is 6 persons, and the maximum is 12. English or German speaking trekking guide. Pls. note that accommodation in Reykjavik is not included and that in Iceland a itinerary might change due to weather, road conditions and forces of nature. 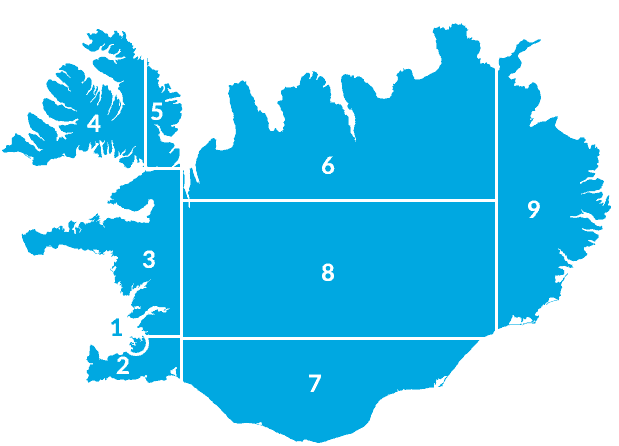 Hikers are picked up at 7.15 – 7.45 from their accommodation in Reykjavik. We drive to the beautiful rhyolite area Landmannalaugar where we spend the afternoon and take a relaxing walk through the colorful landscape. A black obsidian lava stream forms a magnificent contrast to the green, white, red and yellow hills. Landmannalaugar is one of the few places where it is possible to take a bath in a natural hot pool, surrounded by fascinating landscape. Participants enjoy a meal and an overnight stay at a hut in Landmannalaugar. On the first hiking day we start early, as we have a long day ahead of us. Participants only carry the things they need for the day. The first part of the hiking path is slowly ascending until we reach the hot spring area of Storihver which lies between the yellow, red and black lava. When we have passed Hrafntinnusker we will experience a breathtaking view from the plateau, we will then descend to the hut at lake Alftavatn, where we will enjoy a meal and an overnight stay. Walking time is about 8 hours. To day we will walk over wide and expanse areas of gravel and sand, crossing a few rather cold rivers. While walking we can experience the solitude and vastness of the area. Today’s terrain is rather flat but with a wonderful view of surrounding mountains and glaciers. Walking time is about 6 hours. We overnight and enjoy a meal in the hut at Emstrur. The walk starts east from the hut through a colorful canyon where we will have a great view to the Myrdalsjokull glacier. We cross a bridge over the river Sydri-Emstrua where the trek runs easely along the river Markarfljot. As we get closer to the green valley of Thorsmork we get an understanding of why Iceland is called the land of contrasts. Before reaching Thorsmork we will have to wade the river Thronga. We will stay in a hut in Langidalur that is situated in Thorsmork, there we will enjoy a grilled meal. Before leaving Thorsmork we will climb the hill Valahnjukur for a good view over the valley, glaciers and rivers. Hikers have lunch before boarding the bus at Langidalur at 14:30 which takes them to Reykjavik, arrival time is estimated 18:00.